The Barco Eonis 22” is a surgical monitor built with healthcare specialists in mind. It combines consistent image quality and an attractive, versatile design with networked quality assurance. The white version features a front glass panel and is completely sealed, making it exceptionally cleanable, even with 70% alcohol cleaning agents. Barco’s Eonis surgical monitor features toughened glass and covered cables, making the display safe to use in a clinical environment. In places where infection control is a major concern, the white version is the best choice. The surgical monitor has a protective front glass panel and is rated IP-32 front and back, making it exceptionally cleanable to prevent contamination. The multiple mounting options and connections further add to the smart design so typical of the Eonis surgical monitor. Barco’s Eonis Surgical monitor has a unique front consistency sensor to automatically align the image quality every time the display is switched on. The image consistency makes collaboration between specialists easier. They can discuss images with colleagues at multiple locations, with absolute confidence that everyone is seeing identical images. Eonis comes complete with Barco’s cloud-based MediCal QAWeb software, Barco’s online service for automated calibration, Quality Assurance and asset management. 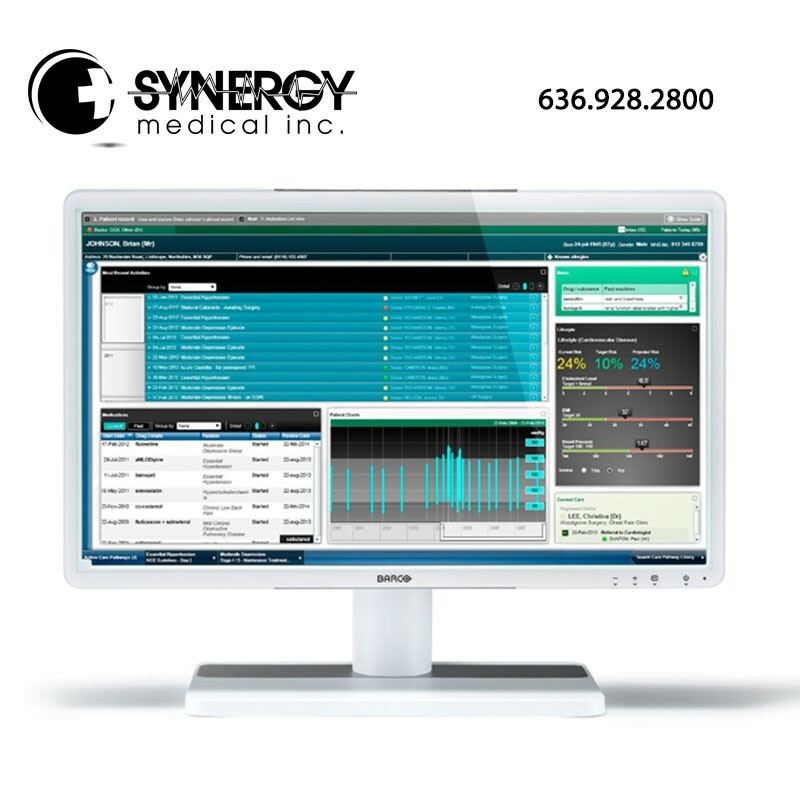 Praised in hospitals around the world, MediCal QAWeb allows healthcare IT and PACS administrators to centrally and remotely manage image quality across the healthcare organization, at the click of a button. This helps them save precious time.